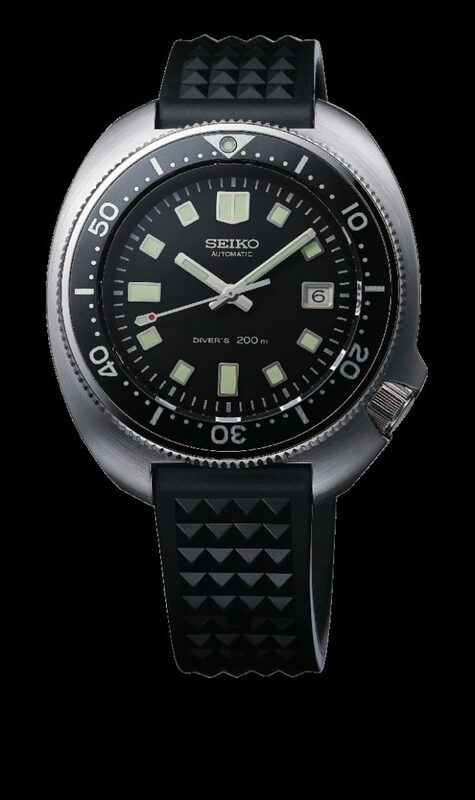 When the original 1970’s Seiko diver’s watch was created, its designers had only one thought in mind; to build a diver’s watch that delivered the reliability, durability, precision and legibility that serious adventurers required. Little did they know that a subsequent version of the watch with this same characteristic case design was destined to develop a worldwide following and earn the affectionate and unforgettable nickname of the “turtle”. A unique profile and a proud history The uniqueness of the design of the 1970 stemmed largely from the way that the crown, moved to the 4 o’clock position, was protected by the extension of the case around it. The design turned out to be as memorable as it was functional and this 150 meter water resistant diver’s watch rapidly found favor among those who needed a watch of exceptional strength. The new Prospex re-creation of this 1970 diver’s watch is slightly larger than the original but faithful in every other respect to its design. It is, however, completely up-to-date in its technology. 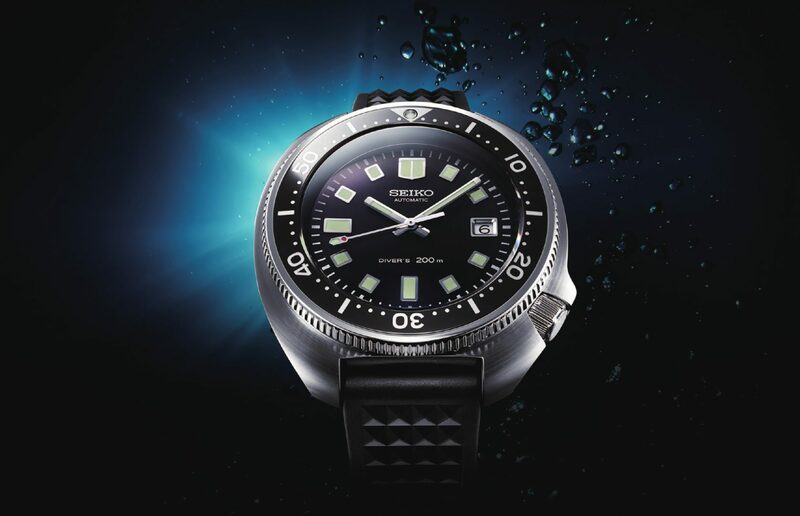 It incorporates caliber 8L35 which was specially designed for use in diver’s watches. The case has a super-hard coating and a dual-curved sapphire crystal with anti-reflective coating and is 200 meter water resistant. The upper surface of the bezel rim is Zaratsu polished to a perfect mirror finish. Presented on a high strength silicone strap, this Prospex timepiece is assembled by hand in the Shizukuishi Watch Studio in northern Japan. It is offered as a limited edition of just 2,500 and will be available from July in Seiko Boutiques and leading Seiko retail partners worldwide.